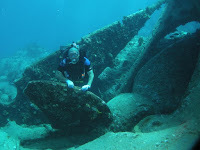 Part of RMA Rhone wreck. The RMS—Royal Mail Ship—Rhone today lies wrecked beneath the sea near Salt Island, a part of the British Virgin Islands, in the Caribbean. 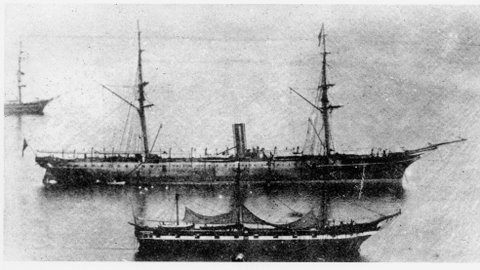 The English Royal Mail Packet Company had the RMS Rhone, a mail carrier and passenger ship built in 1865. She was 30 feet long and 40 feet wide and was considered the most modern and fastest in this company’s fleet. But just two years into making trips from England to the Caribbean--tragedy struck. In late October of 1867, the Rhone ran into trouble in the Caribbean. The ship hit a storm *—but it was well past hurricane season so the ship’s captain, Robert Wooley was unconcerned. * Passengers from another smaller ship, the Conway were transferred at the onset of this storm to the Rhone because she was considered unsinkable. The Conway was lost in the rear of the storm with all hands onboard. As the Rhone passed the island of Torola, the Captain felt they were just heading into an early winter storm. When the skies became gray and the storm hit, the Captain laid anchor and kept his ship full steam ahead. This was a standard maneuver to offset the storms power and keep his ship in position. When this storm suddenly cleared and the sky turned blue Captain Wooley realized his mistake. His ship was sitting directly in the eye of a hurricane. This storm turned out to be a powerful Category 5. It is estimated the Rhone had between 300 and 500 passengers and crew onboard. Many of the passengers became hysterical as the storm battered the ship. Captain Wooley had the passengers lashed or tied to their bunks to prevent injury—this proved to be a tragic decision. When the anchor cable snapped the Captain attempted to head for the open sea. But as his ship sailed between Dead Chest Cay and Salt Island the hurricane’s eye passed and his ship was at the mercy of raging waves and zero visibility. A giant wave hit the Rhone suddenly and washed the Captain overboard. The ship was then tossed into a series of rocky outcrops off Salt Island known as Black Rock. As the ship smashed into these rocks, seawater rushed in and the filled the hot boiler room, the result was a massive explosion that ripped the Rhone in two. Last known photo of Rhone. The stern where most of the passengers where still lashed to their beds sank quickly. This part sank upright so 4 people were able to climb the masks that were still above water and wait for rescue. The aft drifted a short distance away and sank at a 90-degree angle. Of the people onboard, 23 survived, only one being a passenger. Today the stern lies 30 feet below water while the bow is deeper at 80 feet. 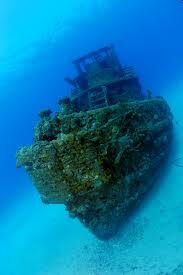 In 1967, the area that contains this shipwreck was turned into the Caribbean’s only Marine National Park. The Rhone shipwreck has become the area’s most popular place to scuba dive. This wreck was featured in the film The Deep, which starred Jaqueline Bisset. Over the years many divers have come forward to state the area inside the hull of this wreck is haunted. Several divers have reported having their shoulders tugged. When they have turned around no one has been close enough to touch them. Other divers report hearing strange sounds within the hull. 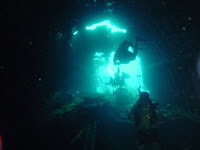 These noises are described as “groans and screams.” Professional divers have stated they have never before heard anything like this under water. This haunting was highlighted on the National Geographic Channel series entitled, Is it Real? Here is video of the wreck. 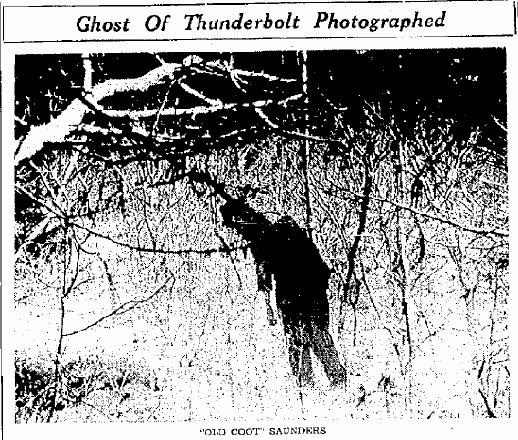 This ghost story gained traction after the North Adams Transcript newspaper published it under the headline, Ghost on the Thunderbolt in 1939. This story is one that is often shared today. 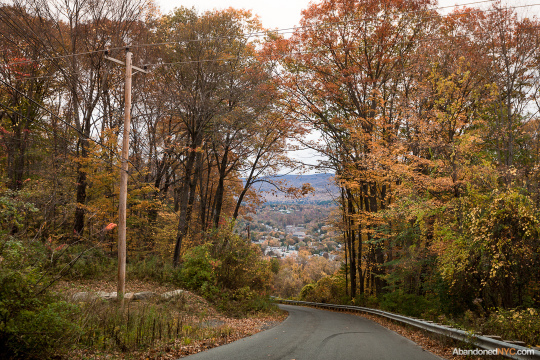 It takes place in the Berkshires located on the border of western Massachusetts. It is said that during cold snowy winters on Mt. Greylock a ghost known as Old Coot is seen wondering the base of Bellows Pipe Trail. 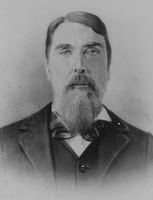 Williams Saunders, a farmer in North Adams, Massachusetts left his wife and children in 1861 to fight for the Union army during the Civil War. A year later, Saunders’s wife Belle received a letter informing her that her husband had been “gravely wounded.” Belle waited for weeks that turned into months but heard nothing more about her husband’s condition. Unable to run the farm by herself she hired a local man, Milton Clifford, to help her run the place. Two years passed and there was still no word, Belle assumed her husband was dead. 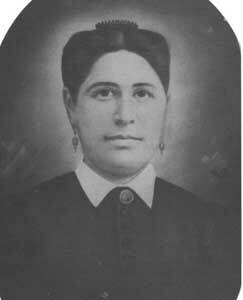 She then married Milton Clifford. He was a good provider and treated her children as if they were his own. Heartbroken, William Saunders retreated to the nearby woods of Mt. Greylock. He built himself a small rustic shack along the Thunderbolt Trail. He lived there for years, occasionally going into town for supplies. He took odd jobs on farms in the area including his own. It was said that he was so changed in appearance his wife and children did not recognize him. The locals nicknamed Saunders, Old Coot. One mid-January morning hunters found Saunder’s lying in his shack dead. They searched his papers and found his true identity. This group of men were the first to see Old Coot’s ghost. They watched in amazement as a dark shadow left Saunder’s body and then dart through the woods. Ever since, several other witnesses, hikers, skiers and bikers, have reported seeing "Old Coot" on the base of Bellows Pipe Trail. He is seen in January, the month he died. He also is sometimes seen as late as March. He is described as an old bedraggled man that walks bent over. When this story was published in the Transcript in mid-January in the 1930s some point to the fact it was just to generate interest in an upcoming downhill ski championship *—regardless this publicity made it one of Massachusetts’ most enduring ghost legends. 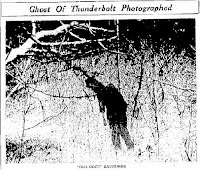 Supposedly, on two separate occasions Saunders’s ghost has been photographed. The Transcript newspaper, published both these photos. Some state they are obviously faked. I will leave it up to the reader to decide. The following brief video below highlights both photos. * At 3,491 feet, Mt. Greylock is Massachusetts’ highest peak. 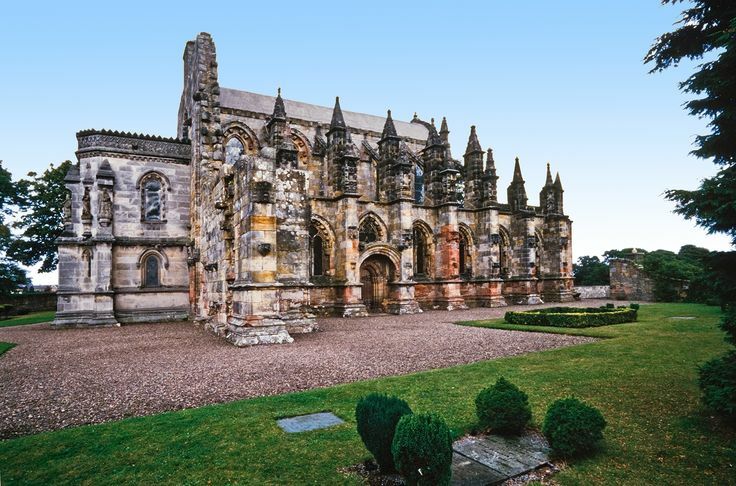 Owned by the St. Clair or Sinclair family since 1446 Rosslyn Chapel located in Midlothian, Scotland is surrounded by many myths and mysteries. 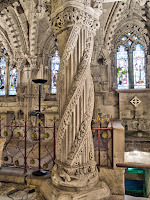 The most famous legend connected to Rosslyn involves the Knights Templar * and their quest for the Holy Grail—which was the chalice used by Christ at the Last Supper. One myth states this chalice is supposedly hidden somewhere within the chapel. 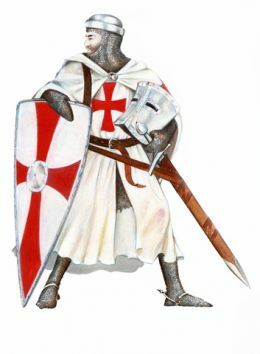 * The Knights Templar known for their prowess in battle and finances were a Christian military order that played an integral part in the early Crusades. However in 1307, rumors about the order’s secret rituals spread which led to their eventual downfall. 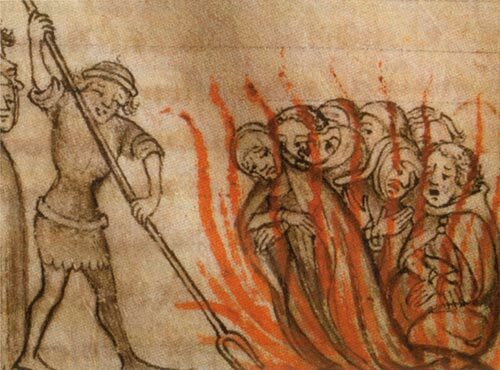 Philip lV of France deeply in financial debt to the Templars conveniently accused them of heresy and fraud and burned several of their leaders at the stake. 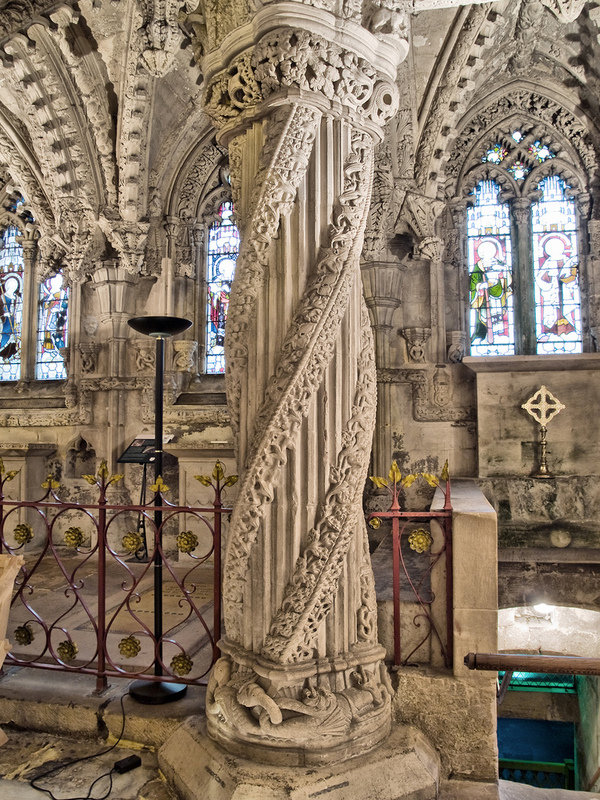 The Rosslyn Chapel was built in the 15th century for the Prince of Orkney, Sir William St. Clair. He most likely was involved in the Order of the Knights Templar. 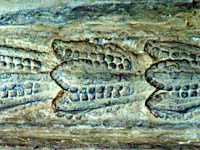 The chapel is known for its mysterious and intricate carvings that have stumped historians for generations. They reflect biblical, masonic, pagan and Knights Templar themes. Some of these carvings are out of time and place—they were carved in the chapel 200 years before Columbus discovered America. They depict items only found in the New World-- American cactus and Indian sweet corn or maize. One legend states an Apprentice who was a stonemason was murdered in the chapel. This young man is said to have carved a beautiful pillar while his master was away in Rome looking for inspiration. When his master returned, he found the post surpassed his own skill. In a jealous rage, he then killed the Apprentice. When the Prince of Orkney died he was buried in the chapel—after this, all male members of the St. Clair family were buried in vaults below the chapel, without coffins but instead in full knight regalia until the 1700s. In the crypt located below the chapel, visitors for years have experienced a mysterious dark wind without an apparent source. Another legend states when a descendant of the Prince of Orkney dies the whole chapel appears to be on fire. Sir Walter Scott wrote about this phenomenon in his narrative poem Lay of the Last Minstrel. The Chapel altars were smashed during the Reformation in 1592—since it was a Catholic church-- the chapel was then left to ruin until the 18th century. In 1736, the ceiling and floors were restored which saved it from complete decay. In 1861, the architect David Bryce was commissioned to restore Rosslyn. Today the chapel is widely known because of Dan Brown’s bestselling novel The Da Vinci Code. But it has been famous for longer than this—partly because of the ghosts seen at the chapel. 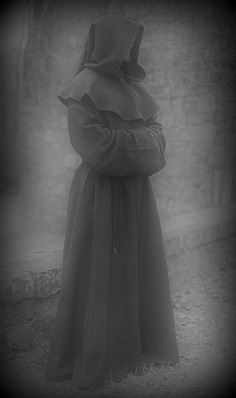 For years there have been numerous sightings of phantom monks in and around the chapel. One curator witnessed a ghostly monk praying at an altar in the crypt. This monk was seen surrounded by four guardian knights. In other sightings, witnesses have come forward to state they saw monks dressed in grey or black both inside and outside the chapel at night. Other curators have reported hearing strange sounds when there is no one around. A group of actors rehearsing for a play at the chapel in 2006 had one cast member claim to see a strange “fairy-like“ entity roaming the grounds and another actor stated he saw a ghostly figure in the chapel. The year before another actor rehearsing a play inside the chapel heard a child’s voice in the crypt. He shouted down, “I am locking up.” However, when he went down, there was no one there. Recently odd lights have been witnessed in the chapel. 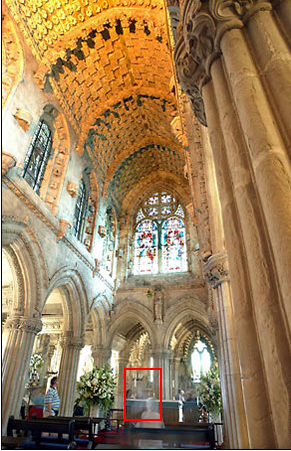 Here are a photograph and his enlargement that Brian Kannard took in the Rosslyn Chapel. The English paper The Telegraph published it in 2007. Kannard states he does not know if it is a ghost or not. Enlargement of what he captured. Located south of Ventura, California near Highway 101 is an adobe home built by Don Raymundo Olivas in 1841. Ranch house at Rancho San Miguel. Olivas was given 2,250 acres from a land grant by the Mexican Governor, Juan Bautista Alvarado in appreciation for his service in the Mexican Army. Olivas called his new home Rancho San Miguel. In 1849 he had a second story built onto his home-- making it a one of a kind in the region. He and his wife, Teodora had 21 children. Being the wealthiest cattle rancher in Alta, Don Raymundo held fiestas at his home that often lasted 3 to 4 days. But this attracted undue attention, which resulted in bandits rounding up the family and holding them captive as they looked for valuables. In one version of this story it is stated Don Raymundo sent a servant with a box containing gold coins worth upwards of $75,000. This servant buried it while Don Raymundo stalled. Unfortunately when this servant returned the robbers killed him, before finding out the location, so to this day no one has ever found where this gold is hidden. When Don Raymundo died in 1879, his land was parceled off to his heirs. 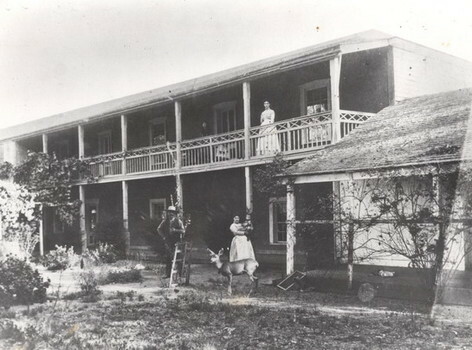 By 1899, the property was no longer owned by the family. 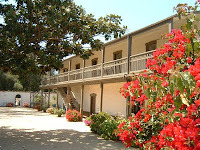 Front view of Olivas Adobe. In 1927, Max Fleischman—of the yeast and butter fame—bought the ranch house and restored it. 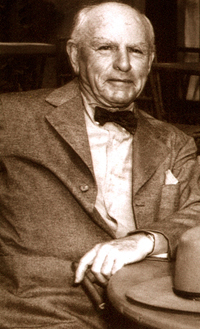 When he died in 1972 he gifted the property to the city of Ventura. 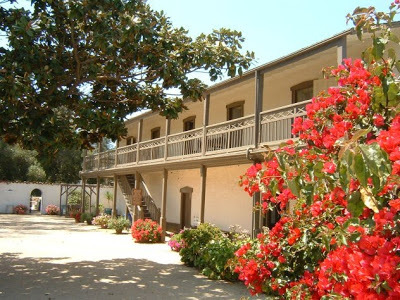 The Olivas Adobe was placed on the National Register of Historic Places in 1979. The home is run as a museum today and tours are offered on the weekends. Employees, volunteers and visitors all feel the old home is haunted. The most active ghost is a female known as the Lady in Black. Many feel this spirit that is dressed in black mourning is the ghost of Don Raymundo’s wife, Teodora. Numerous witnesses have spotted her ghost over the years. She is often seen pacing back and forth. 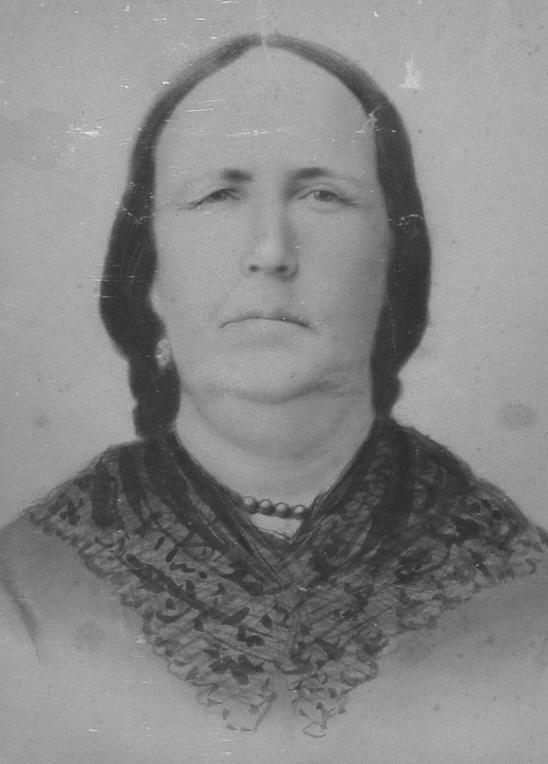 She is seen both day and night moving from one room to the next or on the upper porch at the rear of the house—many have watched as she disappeared in mid-stride. It is stated she wrings her hands nervously—a throwback to the time she and her family were held captive by bandits. It is said they ruthlessly ripped her earrings out. Another ghost seen is that of a man with a beard. His face * is seen hovering outside a second story window. It is said it resembles, Nicolas Olivas, Don Raymundo’s eldest son. 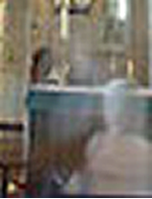 This ghost is seen looking in at the room that once was the “Children’s Room.” This window is 16 feet above the ground and has no ledge or balcony attached to it. Some speculate he is looking for his finger—chopped off by the bandits. The ghost of a little girl has also been spotted in the home--it is believed she was Nicolas' daughter, Rebecca. On one Halloween over 100 people witnessed her at the same time. * In 2004, Richard Senate the manager of Olivas Adobe who is a ghost hunter, captured this bearded face angrily peering into this window on his digital camera. The Lady in Black has also been seen gazing out of this same window onto the courtyard below. She has startled more than one visitor. Volunteers at the museum report hearing footsteps going up the stairs and on the floorboards above. When these sounds are investigated no one is ever found. Other activity includes rocking chairs in the home moving on their own and the dolls in the Children's Room have been moved around overnight when the home is closed. The following 5-minute video is Richard Senate talking about the ghosts that have been captured in EVPs and photos in the Olivas Adobe. Here is another more recent video Senate did about this haunting. It is not recommended that one visit Michigan’s Old Presque Isle lighthouse after dark. A ghost has been known to scare visitors away. This lighthouse sits on Lake Huron, 20 miles south of Rogers City, Michigan. 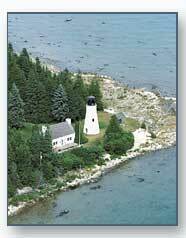 Built in 1840, the Old Presque Isle Light guided ships safely into Presque Isle Harbor for 31 years. In the 1870s, it was replaced by a new lighthouse bearing the same name, which remains the tallest on the Great Lakes. Years after the old station was closed, it was sold to a private owner, Jim Stebbins. The Stebbins family restored the station and hired Lorraine and George Parris in 1977 to be caretakers for the historic monument. The Parris’ relished their new role, enjoying their retirement years caring for the museum and greeting the many people who came to visit the old light. 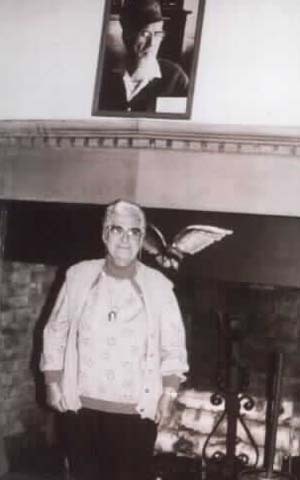 The photo above is George Parris. One evening in May of 1992, Lorraine Parris was driving back from a family dinner—she wished George was with her—but this was not possible for he had passed away in 1991. As she rounded a bend in the road she spotted something that amazed her. The light in the tower was on. It occurred to her that the old lighthouse looked as it must have once looked over a century before. She blinked wondering if she was hallucinating—the light had not been on in years—the wiring had been permanently disconnected by her husband and the Coast Guard in 1979, after it had accidentally been turned on. Lorraine was too embarrassed to mention what she had seen—people would think it was just her imagination. But the light continued to appear night after night—shining in the lantern room. This light was not visible from the station grounds, it was only visible from across the harbor. Within days Lorraine’s secret was out for everyone was seeing this mysterious light. As word spread spectators from all over were arriving to see this phenomenon. The Coast Guard showed up to check it out but could not explain it. Sailors on passing boats and freighters saw it. National Guard pilots flying planes overhead saw it. They reported the light cast a yellowish glow. The Coast Guard took out the ornamental light that was used to replace the original light—but the tower still shined brightly. Some stated it must be passing cars but the light was seen even when there were no cars in the area. Several witnesses reported seeing the figure of a man in the lantern room when no one was about. Other visitors reported feeling a hand brush their shoulders as they walked the tower steps. George was a prankster when he was alive. This mysterious presence is often helpful. Lorraine began to connect this light with her husband. While alive George had always made her bacon and eggs for breakfast. After the light began to appear Lorraine would wake to these familiar smells, but no one was in the Keepers Cottage with her. Two female visitors to the old light locked their keys in their car. Later they found the car mysteriously unlocked. When they started the ignition the dome lights came on and the radio blasted a station they never listened to. Another odd occurrence happened one day when Lorraine found she couldn’t open a door at the Keepers Cottage. Something was blocking the door. She felt a presence on the other side. When she went around to another door and went outside she discovered no one was there. But oddly, there was a lawn chair propped against the door and another lawn chair was facing it as if two people had been sitting there, talking. Within moments lightning struck near the lighthouse, right where Lorraine would had been if she had been able to open the door and exit the building without the chair interfering. Back inside the cottage Lorraine found the door opened easily now—the chair slid across the cement without resistance. Had it been George, did he block the door to protect her from the storm? 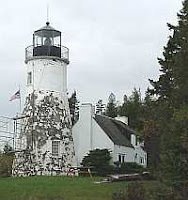 The Old Presque Isle Light is still seen today coming on at dusk and turning off at dawn. Many feel it is George’s ghost that returns every evening to light the beacon.